The latest updates for Hurricane Matthew have the storm tracking further west than originally expected, with possible landfall on the east coast of Florida Thursday into Friday. Although Southwest Florida is not in the direct path of the storm, we will feel some effects such as increased wind gusts and rain, which may have an effect on our area. Please check your supplies to make sure that you have what you need should power be interrupted for any length of time. 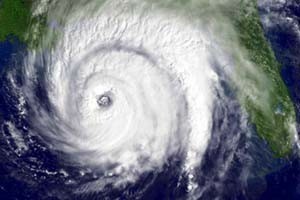 There is information on hurricane preparedness here as well as information about flooding preparedness here. Preparation should also include filling your vehicles with fuel and having cash available should you need it. Stay informed and review your plan. Follow local news for the latest updates. Should any actions need to be taken, such as evacuations, these will be issued by Lee County EOC through the media and through their social media accounts. Follow them on Twitter at @LeeEOC or on Facebook at @LCEMFL.